Christians targeted in bomb-and-gun assault. 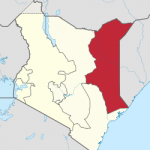 NAIROBI, Kenya (Morning Star News) – Islamic extremists targeted Christians in the shooting deaths of 12 non-local Kenyans at a guest-house in Kenya’s northeastern town of Mandera early this morning, sources said. Somali Al Shabaab rebels took responsibility for the pre-dawn attack on the guest-house, where a Kenyan theatre troupe from outside the area was staying, according to the militants’ radio affiliate. An area pastor told Morning Star News that Christians were targeted. The theatre group was made up of university students who reportedly travelled to the mainly Muslim area of Mandera to perform plays in local schools. The BBC reported that the group’s producer said they had received threats. He told BBC that the gunmen set off explosions and fired at them repeatedly as some off the theatre members hid in bathrooms. Earlier this month, suspected Al Shabaab militants targeted Christians in a grenade and gun attack in the early morning of Oct. 6 that killed six people, sources said. Targeting predominantly Christian migrant workers from Kenya’s interior, Al Shabaab reportedly took responsibility for the attack at a residential compound in Mandera, with a spokesman for the militants saying it was designed to drive Christians from the area. At least one of the victims was reportedly a Muslim.